Marijuana (cannabis) has the potential for physical and psychological dependence as well as impairments in daily and long-term functioning. In the US in 2013, approximately 20 million people over the age of 12 used marijuana. An altered sense of time. Difficulty thinking, decision-making and problem-solving. Some users have anxiety and panic attacks during intoxication. Paranoid thinking can also occur. Changes in brain functioning can occur with chronic marijuana use that may negatively impact personal functioning and life satisfaction. Chronic use can impair memory, learning, attention, decision-making and impulse control, with diminished achievement in school, work and social settings. Many former long-term marijuana users look back regretfully at large portions of their lives spent functioning below their full potential. Similarly, a decline in IQ has also been found in chronic users who began use in their teens and continued into adulthood. Research indicates an average loss of 8 IQ points from childhood to midlife. Chronic use during pregnancy can cause gaps in attention, memory, and problem-solving skills in prenatally exposed children. Infants tend to have a high-pitched cry, trembling and low birth weight. Anxiety and stress cause cravings as do environmental triggers.Cravings occur with heavy or chronic use. One of the hallmark characteristics of addiction, they are ‘triggered’ by brain changes and psychological issues. Anxiety and stress cause cravings as do environmental triggers such as situations, events, objects, and people that remind the user of marijuana use. There is significant evidence that marijuana is addictive. Medical criteria for Cannabis Use Disorder include symptoms found in other addictions. A problematic pattern of use leads to significant impairments and distress. Hallmark traits of addiction occur such as cravings, increasing tolerance and withdrawal symptoms. Marijuana use increases over time. This effect is known as drug tolerance, a medically defined phenomenon in which there is a need for increased amounts to achieve desired effects. Tolerance is also defined as having diminished effects when using the same amount. If you feel that frequent marijuana use has compromised your ability to function normally throughout the day, a marijuana treatment program might be the help you need. Call our hotline for treatment support and marijuana abuse rehabilitation information at 1-888-993-3112Who Answers?. Marijuana addiction is life-changing with consequences that occur in many life realms such as mental health, physical health, and life outcomes. 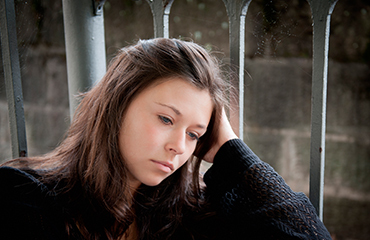 The mental health status of chronic users reflects negative effects of chronic use. For example, there are increased risks of receiving a psychiatric diagnosis. Diagnoses include severe and persistent mental illnesses such as schizophrenia and other psychotic disorders. Some meet the full medical criteria for a disorder and others have a few symptoms. For example, those who have used by age 18 are 2 to 4 times more likely to receive a diagnosis of schizophrenia later in life. Also, some studies show a correlation between repeated use and forms of self-harm, suicidal thinking, and suicide attempts. 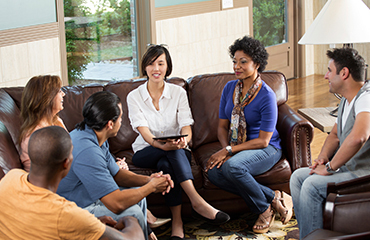 Get Support Find a 12-step recovery support group, such as Narcotics Anonymous, for you or your loved one. Use can cause symptoms indistinguishable from mental illnesses such as Bipolar Disorder, Depressive Disorders, Anxiety Disorders and Psychotic Disorders. Until there is prolonged abstinence, it is unclear diagnostically if symptoms are related to a mental illness or are substance-induced. Chronic users are also at increased risk for other substance-related diagnoses. For example, they have a higher risk of using other drugs to enhance intoxication. Additionally, an early onset of marijuana use is linked to later heroin and cocaine use disorders. Also, marijuana laws that have reduced or eliminated legal consequences of personal use have correlated with increased use particularly among those between 12 and 20 years of age. Use has risen among adults as well. Effects of chronic use include respiratory conditions such as airway inflammation, chronic bronchitis, and poor immunity. Marijuana smokers tend to use more sick days than other employees. Research continues to explore a possible relationship between marijuana use and lung cancer. There is evidence that use may increase the risk of aggressive testicular cancer in young males. Chronic users have a higher risk of workplace injuries and accidents. Life outcomes show links between use, negative consequences and life dissatisfaction. Lethargy, poor motivation, apathy and passivity impact daily activity resulting in poor participation in school, work and other meaningful pursuits (Fergusson & Boden, 2008). Poor educational outcomes and a greater risk of unemployment, low income, greater welfare dependence and risk of criminal behavior also occur. If recreational use has begun to change into something more serious, and you’ve begun to feel the negative physical and mental health tolls of heavy marijuana use, call our toll-free number at 1-888-993-3112Who Answers?, any time of day for confidential information about marijuana abuse recovery options. Mental health issues are tied to marijuana use. Overall, mental illness symptoms and Cannabis Use Disorder tend to co-occur. Also, depression, anxiety, psychosis, schizophrenia and Bipolar Disorder are negatively impacted by use. Poor treatment compliance for mental health issues is likely among user causing those conditions to worsen. Also, chronic or heavy use can cause mental illnesses to ‘erupt’ if there is a biological vulnerability. Some dual diagnosis issues and their effects are quite clear. For example, marijuana is the most abused drug by people with Bipolar Disorder, and there is a tendency for manic episodes to be longer and more severe. Also, worsening social anxiety symptoms appear to be strongly related to marijuana use.